Multi-platinum selling rapper/producer G-Eazy’s latest track from his album ‘The Beautiful & Damned’ impacts April 20thand features international music sensation Charlie Puth. The track has already had over 39 million streams on Spotify. This is the third track from the extremely personal 20 track double album which also features the likes of Halsey, A$AP Rocky, Cardi B, Kehlani, E-40, Anna of the North and more. The track follows the huge success of ‘Him & I’, which has had over 220 million streams on Spotify to date and made it into the top 10 US iTunes. G-Eazy has already begun his The Beautiful & Damned Tour with special guests Trippie Redd, Phora, and Anthony Russo. He will kick off his UK dates in Glasgow on May 29th. 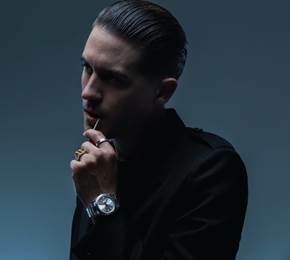 For more ticketing details, please visit: https://g-eazy.com/tour/.